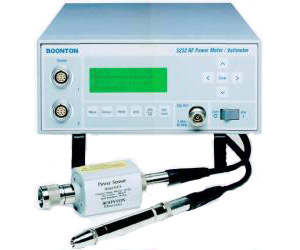 The Boonton 5232 series combines the Boonton technologies of RF Voltage and RF Power measurements in one instrument. The unit automatically senses the probe used to display power or voltage information. Existing Boonton power sensors and voltage probes can be used with this unit.